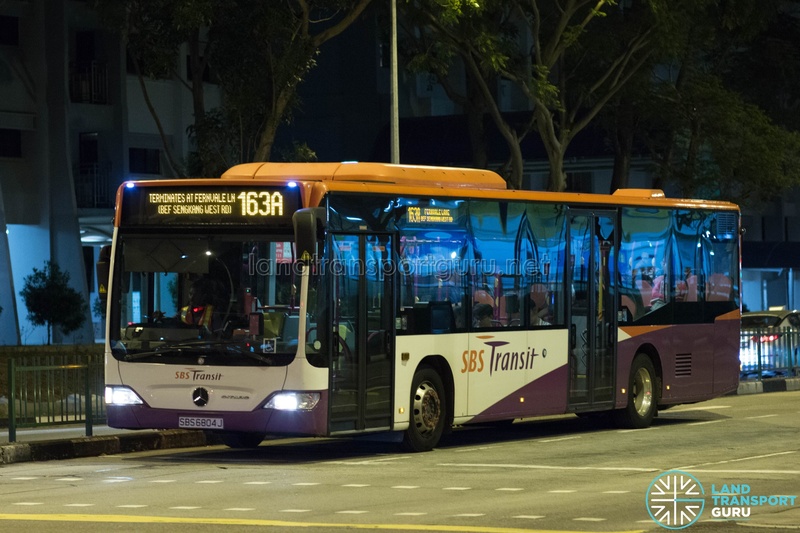 SBS Transit Bus Service 163A is a Short-Trip Service variant of Bus Service 163. The route operates from Sengkang Bus Interchange and ends at Fernvale Lane (Bef Sengkang West Rd), operating daily, after the last bus of Service 163 has departed. Service 163A was introduced on 10 February 2019, with the withdrawal of Service 163M. 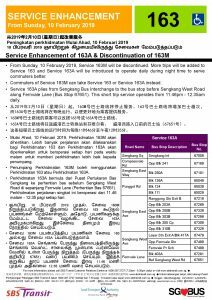 Short Trip Service 163A is a trunk service operating from Sengkang Bus Interchange and ends at Fernvale Lane (Bef Sengkang West Rd). 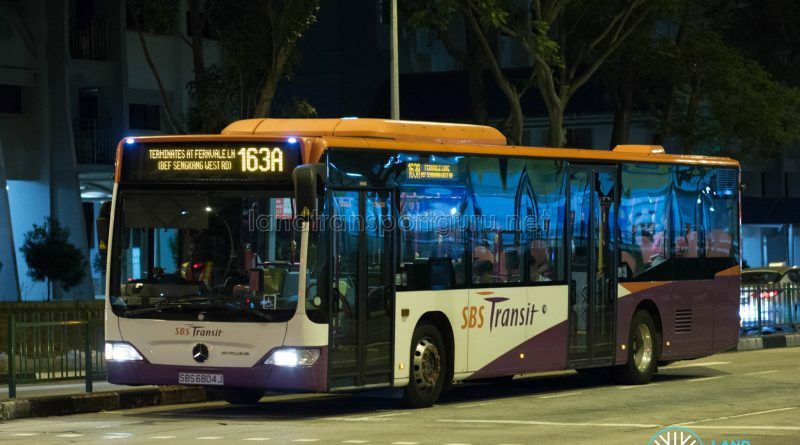 The Short-Trip Service operates daily and connects the transport node of Sengkang to residential areas around Sengkang after the last bus of Service 163 has departed, offering late-night bus connections within Sengkang without having to operate full-distance trips to Toa Payoh. The route was introduced on 10 February 2019, following the withdrawal of Service 163M. Service 163A was also operated from March 2005 in near-identical form, until 2008 when it was renumbered to Service 163M.